Screenplay: Seth Lochhead, David Farr. 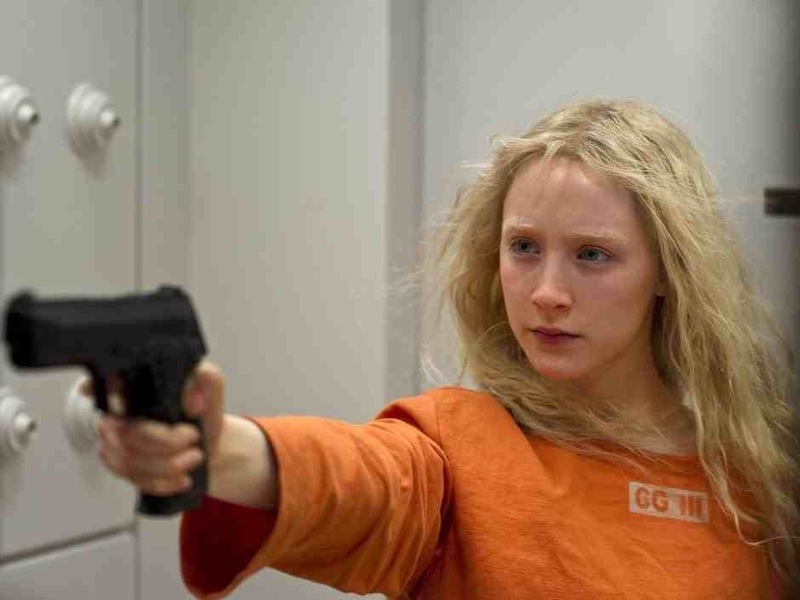 Starring: Saoirse Ronan, Eric Bana, Cate Blanchett, Tom Hollander, Olivia Williams, Jason Flemyng, Jessica Barden. When “Atonement” was released in 2007, I was pleasantly surprised by how solid a film it was, considering it’s not normally something I’d be drawn to. After that, director Joe Wright went up in my estimation. As did a young Oscar nominated Saiorse Ronan from that film. Much to my delight, they both collaborated again on this espionage thriller. That being said, ‘thriller’ is not exactly the word I would choose for this and it’s certainly nowhere near the standard of their earlier production. 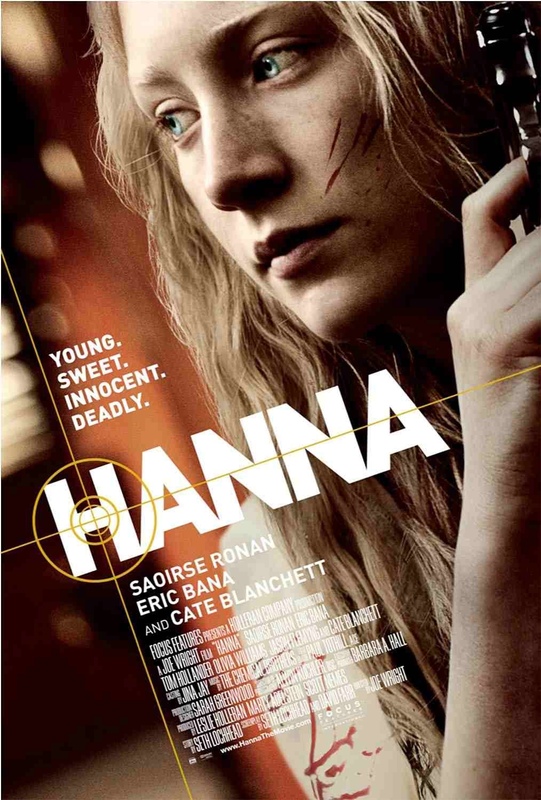 Hanna (Saiorse Ronan) is a young girl who, for most of her life, has been living in the wilderness away from society and being conditioned to be a crack assassin by her father (Eric Bana). When decided that she wants to leave her cloistered life, she finds herself on the run from the CIA in the stern form of Marissa (Cate Blanchett), the very person who knows who or what Hanna really is. When I first saw the trailer and some of the critical praise this film was recieving I couldn’t wait to see it. That anticipation was maybe the reason I was so disappointed in the delivery though. Everything seemed distant, far-fetched and unreal and not quite what I think was intended – If it was intended, it didn’t work. It started to become a childs eye-view of the world and more specifically, a teenage girls eye-view. This was not what I was expecting at all. I was expecting action, thrills and suspense. I was expecting the film that we were told it would be. Not some dull coming-of-age tale masquerading as an espionage film. It has a couple of impressive action set-pieces but that’s it. The themes have been explored thousands of times before and this brings nothing new to the table. I also struggled to connect to the characters and their unnecessary accents. There were plot holes aplenty and some characters even left without an explanation as to what happened to them. The level of inconsistencies are lazy and quite frankly, insulting. On the plus side, ‘The Chemical Brothers’ soundtrack is fast paced and kinetic and has a vibrancy the film lacks. The performances were also good (despite the dodgy accents). Ronan and Bana are always reliable and Tom Hollander pitches in a creepy role. Blanchett is an actress I have always admired and here her acting is great, but there’s just one problem… It looks like she has stepped onto the wrong set. Her emotional responses are baffling and don’t seem to fit what’s happening onscreen. Very talented actors with wasted efforts. Three times it took me to finally finish watching this. Not because it was convoluted or demanded a level of attention but because it was tedious and uneventful. The only reason I attempted it three times is because I thought I must be missing something. Surely, it couldn’t be as bad as what I was witnessing. Sadly, it was. I’m astonished at the praise this has recieved. It’s an absolute turkey with the only redeeming qualities being a glimmer of originality and very commited performances. Director Joe Wright still has a lot to learn. After the equally bad “The Soloist” and now this, it’s starting to look like the solid “Atonement” was a fluke. Dull as dishwater. This entry was posted on February 3, 2012 at 9:33 am and is filed under Action, thriller with tags 2011. You can follow any responses to this entry through the RSS 2.0 feed. You can leave a response, or trackback from your own site. Wow. You REALLY didn’t like it. I’m sorry. I actually enjoyed it quite a bit. I was massively disappointed Fernando. It looked great but as I sat down to it, I couldn’t believe how bad it really was. I seem to be in the minority with this though. Thanks again Vern. I really didn’t take this one at all. I expected so much more and it just failed to deliver. However, I’m definitely in the minority on this. Nice comparison to Grimm’s fairy tales though. I see what you mean.